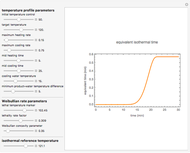 This fifth of five Demonstrations depicts the change in the equivalent isothermal time versus the process time (in minutes) for a chosen temperature history and reference temperature. 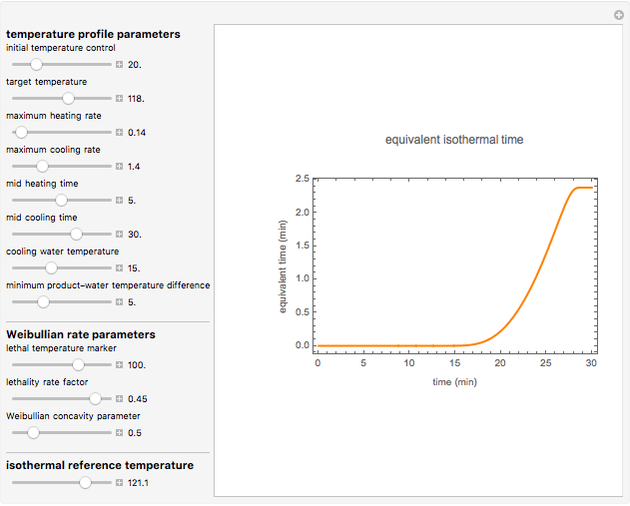 The equivalent isothermal time is the time at the selected reference temperature that will produce the same degree of inactivation as the chosen process. This is done by setting eight temperature profile parameters, three Weibullian heat resistance parameters, and the isothermal reference temperature. Notice the automatic scaling of the axis; it is different in each example. 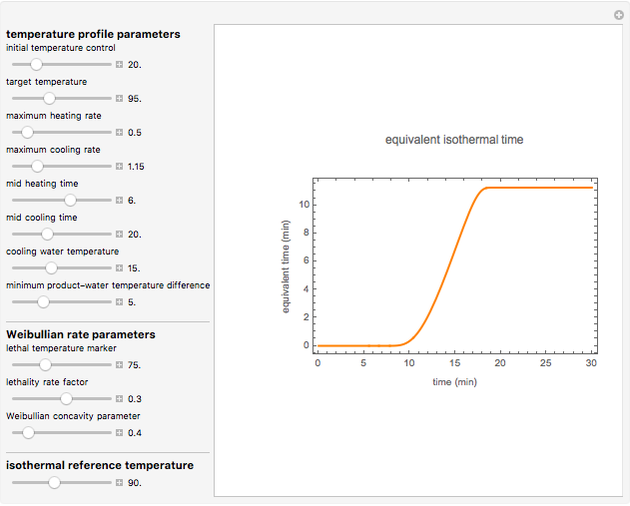 Please note that not all possible parameter combinations yield a realistic temperature profile and corresponding equivalent time curve. 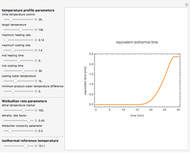 Mark D. Normand and Micha Peleg "Equivalent Isothermal Time at a Reference Temperature as a Function of Time"